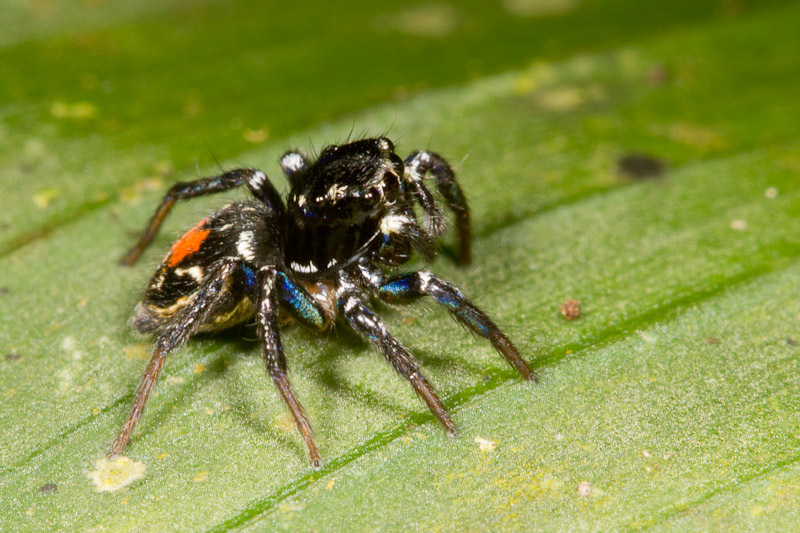 It’s hard to resist jumping spiders. 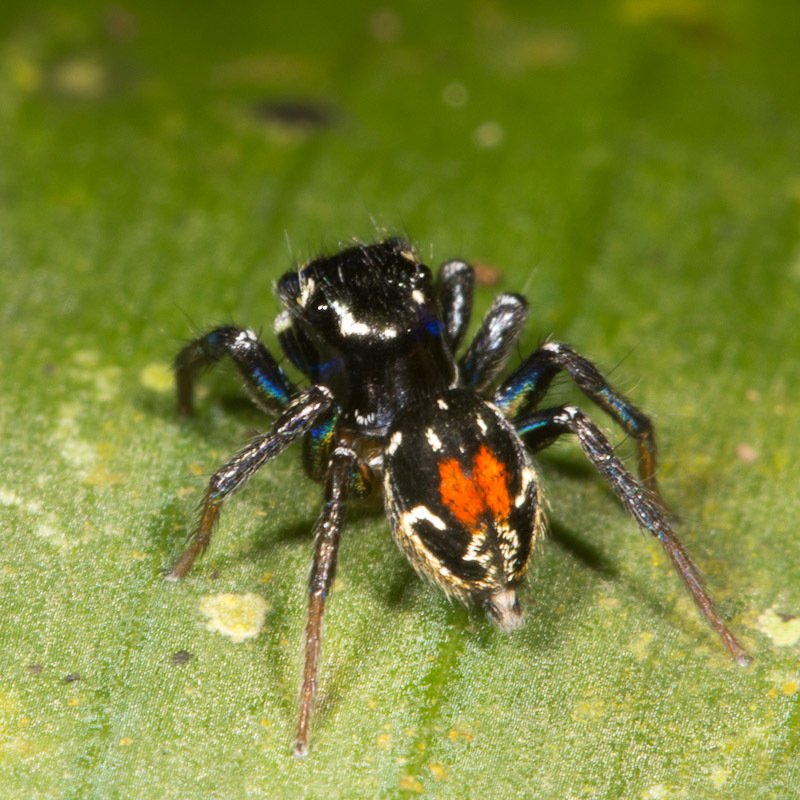 This little one sort of has the colors of the Costa Rican flag! Might even be Corythalia opima.